My personal Christmas-Countdown officially began yesterday. I was trying to hold myself back for about two weeks now, but this weekend all major Christmas markets in Vienna opened and now there’s no stopping my Christmas obsession anymore. I’ll head to a Christmas market later today for a hot punch, maybe some roasted chestnuts and sugared almonds. Mhmmmm. I literally cannot wait. I’ve already picked out one of my Christmas-jumpers to wear. The city has been preparing for these markets for a few weeks now and in the past couple of days you could already smell it in the air: the sweet scent of hot punch, roasted chestnuts, mulled wine and… Christmas. 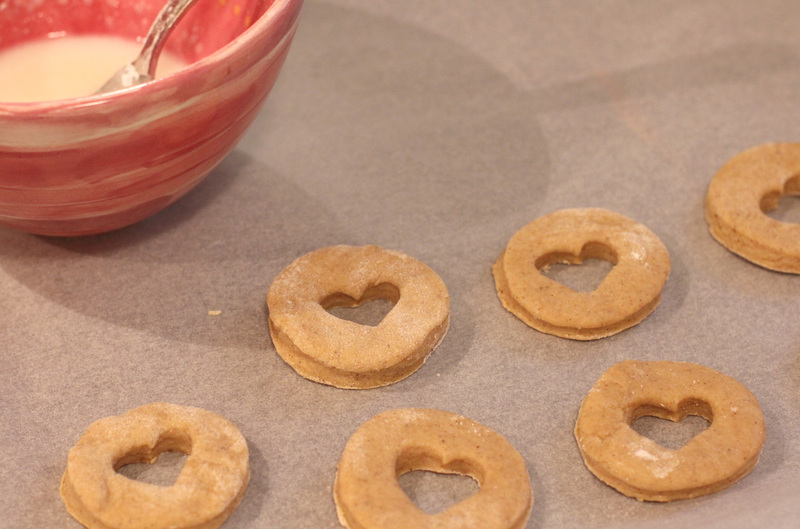 I have a rather large list of cookies I want to (or rather have to, thanks to my mum) make, however, I decided to start slow, namely with Gingerbread Doughnuts. I found the recipe online and I’ve been itching to try making doughnuts myself for a while anyway, so I figured – why not give it a try? Stir together the flour, 1/2 cup sugar, baking powder, salt, and the spice blend. Make a well in the center and pour in the milk, honey, egg, butter, and vanilla. Mix until it’s well combined. Cover and refrigerate for at least 1 hour. Heat oil in a deep skillet or deep-fryer to 375°F (185°C). 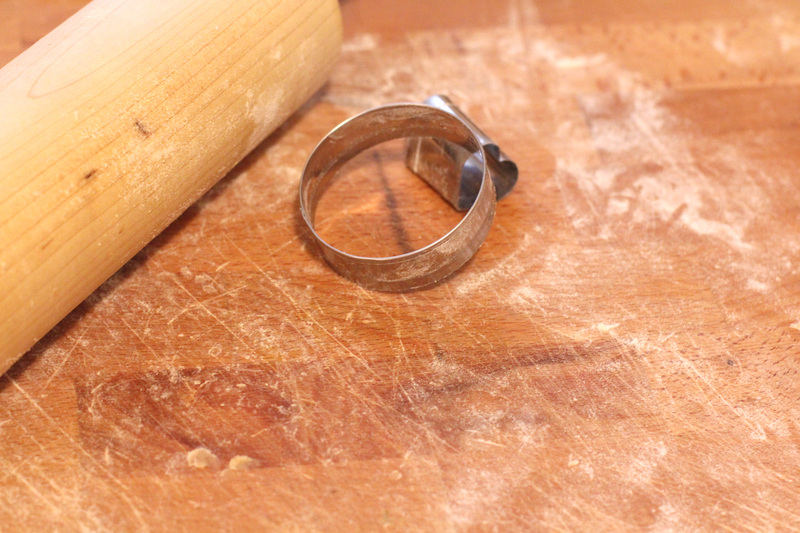 On a floured board, pat or roll the chilled dough out to 1/2 inch thickness. 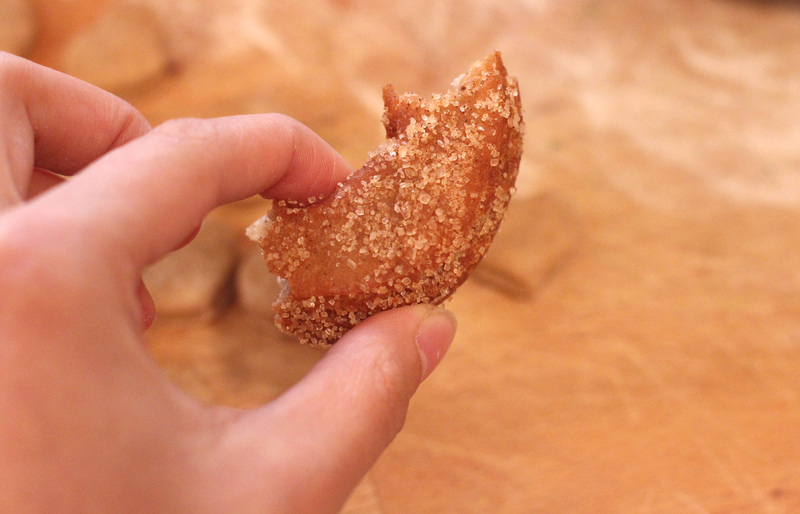 Cut out doughnuts to your preferred size. 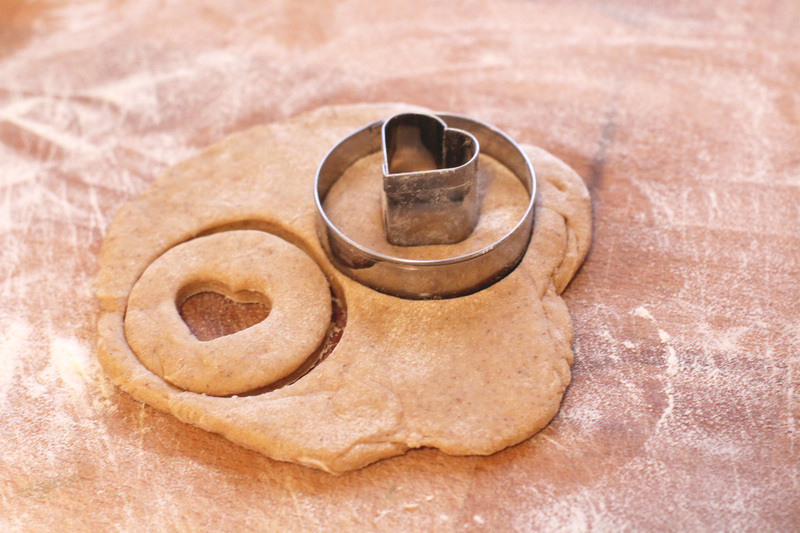 Use a smaller cutter to cut holes from center. 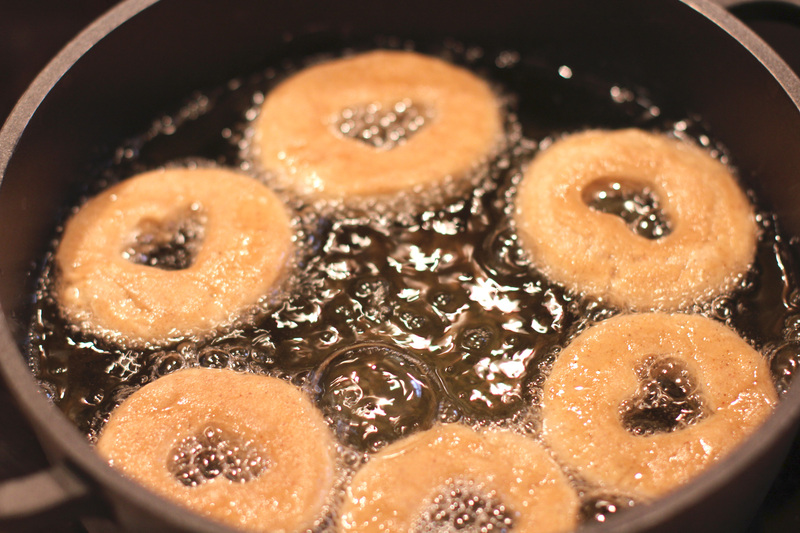 Fry doughnuts in hot oil until golden brown, turning once (about 1 minute per side.) Remove from oil to drain on a rack set over newspaper. 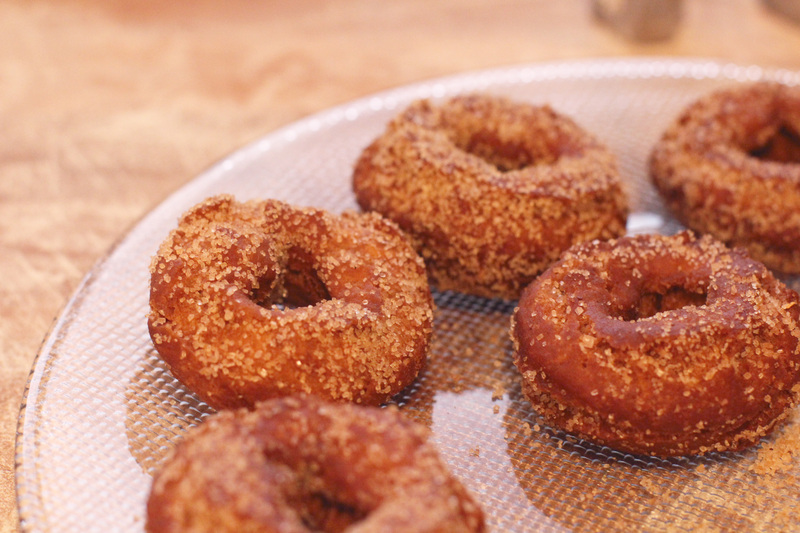 For the glaze: combine glaze ingredients in a bowl and dip the donuts in them to coat. 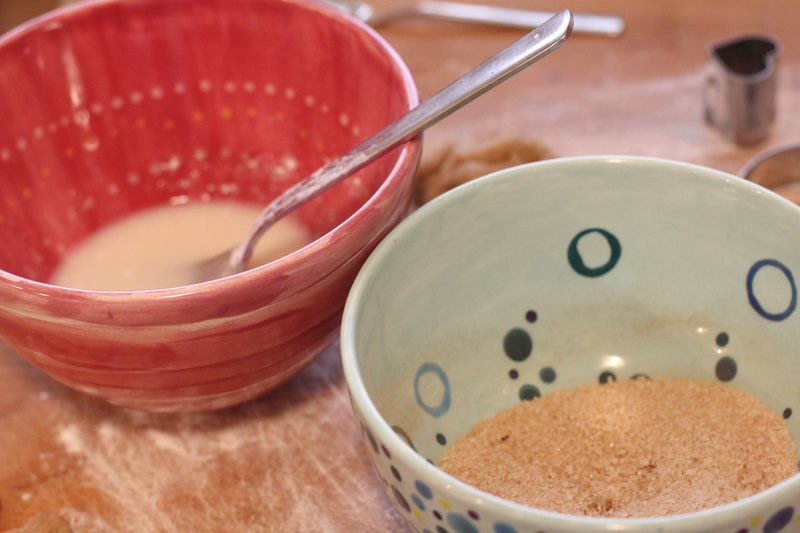 For the sugar coating: combine sugar and cinnamon in a bowl and roll donuts to coat on all sides. They are and it is!